Look up and look down. One mistake I make over and over again – I forget to look up! This seems like common sense, but you would be surprised what you can miss. Check inside boxes, look under tables. Search high and low – literally – for the perfect piece. Start in the back and work your way forward. The booths at the front are usually da bomb! They also get a lot of visitors, especially when the doors first open. That’s why I recommend going straight through the crowd to the back of the venue, and methodically move forward. Make the most of your early morning and get to the good stuff first. Bundle your bid. Increase your chances of making a great deal when you purchase multiple items from the same vendor. Create a collection right there on the spot, then discuss pricing for the bundle of items. It’s a much better strategy than trying to make individual offers on each individual item. Meet the seller’s eye – and say hello. It can be a bit uncomfortable to be in such a confined space, but meet the seller’s eye and say hello! Sellers are happy to be there and glad to host you. Saying hello doesn’t obligate you to purchase. Being polite and friendly may be your best negotiating tool. Don’t insult the piece. There is nothing worse than severely devaluing a dealer’s items and design aesthetic. Don’t expect a warm response if you try to snag an item at a deep discount by insulting or picking the piece apart. If you love it, buy it. Or someone else will. I love this quote – “Nothing Haunts Us Like the Vintage we Didn’t Buy”. I don’t know who wrote it, but truer words were never spoken. That rad piece you decided to ‘wait on’ will be gone when you return for it, guaranteed. Take a tool-kit. This is a game changer. My toolkit includes, but is not limited to…cash, rolling basket or suitcase, tape measure, sunblock, stain removing pen, windex wipes, shopping bag, extra bags, water, bungee cords, flat and phillips head screwdriver. There is a reason “cash is king”. You may score a better deal if you can lay down cash. No one likes paying credit card fees. Be honest with yourself. Are you REALLY going to do this project? Is a joint loose? Can it be tightened with a turn of the screw or is it a more complicated repair? Will that spot come out? Have you taken into account the cost to have that amazing chair upholstered? Are you going to follow-through or will it sit in your garage for 3 years until you finally throw it on Craigslist or eBay? Check joints, screws, cracks and repairs. Use your toolkit and check these things! It’s easy to get caught up in the excitement. So many pieces look amazing when they are styled beautifully, but it can’t just look good – it has to work for its intended purpose. Some things can be easily repaired – and some can’t. Know your limits. Arrive early – the best loot is snatched up quickly. The best items (especially furniture) is gone in two shakes. If you are looking for deals go (or stay) late. You are likely to get the very best deal at the end of the day when dealers would rather sell to you at a discount than load up. Call it the schlep factor. Bring a friend that can hang tough, and help. By that I mean, please don’t think you are going to achieve guerrilla status flea shopping when you are with someone who is tired, or bored or hot. Your companion should be as crazy and excited as you are to join the hunt. Flea market shopping is an adventure! Write down the booths you want to revisit. You will think… “Oh, it’s easy. It’s the 3rd booth in on aisle 11.” But I promise you, if you find it again at all it might take freakin’ forever. Save yourself some time – and write it down! Take two Laps. First, do a lap (start in the back) looking for bigger furniture. It’s easier to spot and you can pick out the good stuff. Lap 2 should be for digging! 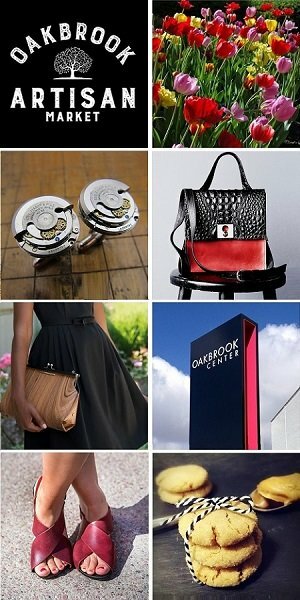 Find the small, unique pieces you can’t easily see from the aisle. It’s always fun to feel like you have discovered a buried treasure. Set a budget, bring enough cash and stick to it. 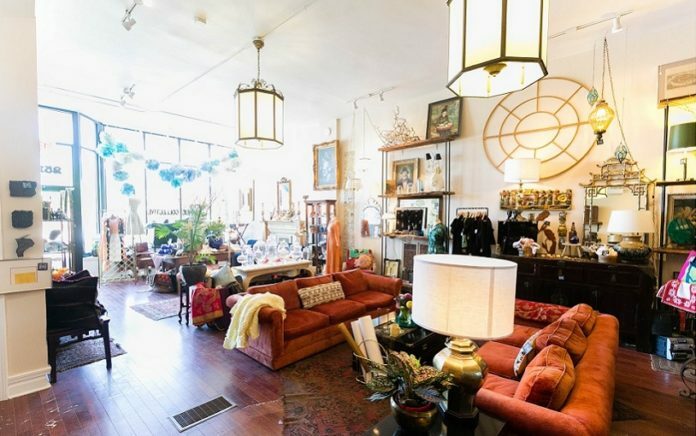 Flea and vintage shopping is a blast! And it’s easy to get caught up in the excitement, the reasonable prices, and the treasure hunting. But there is a LOT of ground to cover and there are a LOT of flea markets in the summer. Don’t blow your bank account on the first day out. 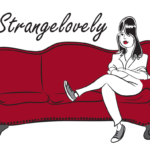 Kim Tanner is the owner of Strangelovely, a refined, classic and urban vintage furniture and home decor storefront in Chicago’s WoW District at 2511 West North Avenue. Kim carefully curates an ever evolving collection of vintage home goods that reflect the quality and craftsmanship of a by-gone era while keeping the overall aesthetic of her showroom eclectic and fresh. Strangelovely is located in Chicago’s WoW District at 2511 West North Avenue! We’re open Wednesday-Sunday from 12pm to 7pm.